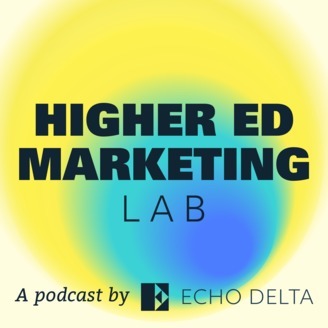 Engage with some of the brightest minds in marketing and higher education to uncover practical insights you can use to level up your institution’s marketing and enrollment efforts. This is part two of a two-part episode in which we explore how the University of the Ozarks, a small, private, liberal arts university in rural Arkansas, has managed to consistently grow enrollment despite the challenges facing small private schools. 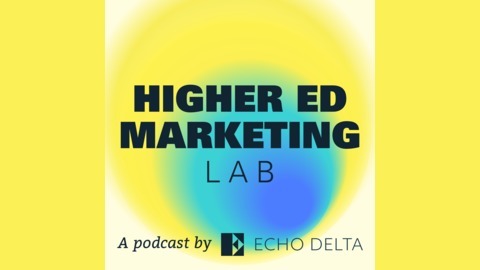 In this episode, Reggie Hill, Vice President of Marketing and enrollment at the University of the Ozarks and Amy Lloyd, Ozarks' Director of Marketing, continue to dig into the key factors that have allowed their institution to thrive; and in one case, generate a 30 percent year-over-year increase in enrollment. We hear what Amy learned when she started attending recruitment events, and how Ozarks has focused the recruitment and marketing activities for maximum impact, which included foregoing a traditional view book and replacing it with something else designed to generate even more impact. We wrap up by hearing how Amy and Reggie, productively, approach internal resistance to new ideas and how they focused on the long game.